It’s critical to meet your customers where they are. Master the new era of multichannel touchpoints and deliver the consistent and personalised experiences that customers expect on self-service and assisted channels. With contextual awareness of customer journeys and visibility into the services or sales performance you provide, agents and your artificial intelligence (AI) technologies can achieve their full potential. Realise true transformation when you build your digital capabilities on a common infrastructure within a single customer experience platform. You’ll eliminate silos, reduce costs and simplify management. With an integrated agent application, workforce management and analytics to see into your business, customers gain a consistent and seamless experience. Most of your customers will begin their journeys on your website or mobile app and only call in to your contact centre out of frustration. They want to use multiple channels and they expect to navigate easily across them. Capitalise on digital channels with seamless, consistent and personalised journeys. With an omnichannel approach, you own the customer journey. You can design journeys, make them actionable and monitor them using business decisions and orchestrated routing across web chat, email, SMS, social and messaging apps. An omnichannel approach unifies inbound and outbound digital communications to deliver consistent, contextual insights. It’s the most effective way to make every interaction effortless. Messaging is ubiquitous and its use is outpacing SMS and social networks. The growth of messaging apps makes them critical for customer experience and sales operations—and a great opportunity. Incorporate messaging apps into your customer experience strategy and meet customers where they most frequently communicate. For example, combine automated and agent-assisted interactive dialogues to bring the benefits of interactive messaging into customer service, sales and marketing operations. And when messages require special handling, make sure you can easily escalate them to the best-available agent. Customers get self-service that’s convenient, immediate and easy to use. And you’ll have better response rates to campaigns, fewer unnecessary inbound calls, improved agent productivity—and satisfied customers. Creating a seamless digital customer experience isn’t always intuitive. While AI automates tasks, such as setting appointments, troubleshooting problems and other self-service tasks, humans are still critical to digital success. A blended AI approach that’s powered by an omnichannel customer experience platform, combines artificial intelligence, bots, machine learning and microapps with the power of humans—to create personalised, proactive and predictive experiences. Let bots collect information, process voice and digital data, and then analyse data at machine speeds. Then hand off to agents to nurture a more personalised service experience. By blending the best of AI and human interaction, you’ll deliver seamless customer and employee experiences—and have a powerful business differentiator. Online and mobile shopping has made it incredibly easy to comparison-shop—with little concern for brand loyalty. Customers do business with companies that offer efficiency, low prices, great service or all three. And that leads to increasingly high levels of abandoned shopping carts and lower sales conversions. 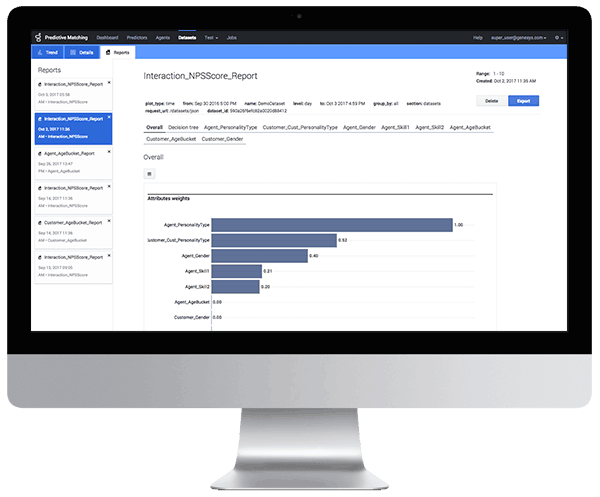 Track customer actions across channels to proactively engage them at the precise moment of opportunity. By matching the right moment with the right resource, you’ll reduce shopping cart abandon rates and churn while improving conversion rates. It’s significantly easier to manage customer conversations when you are able to use context from current and past interactions. And satisfied customers are more likely to recommend your product or service and improve your overall Net Promoter Score. Automate forecasting and scheduling across channels to optimise productivity and deliver on SLAs within budget. Driving efficiency with omnichannel capabilities also improves employee morale. Get the most out of your marketing spend by turning your customer insights into action. When consumer interaction data is fragmented, missing or unavailable, the true value of a consumer engagement interaction remains a mystery. Integrating all digital and voice channels gives you a single, reliable view of what happens each time a consumer engages with your brand—in real time and in context. Apply actionable insights to focus on the right leads and high-intent prospects, fuel pipeline and conversions, and grow lifetime value. Help sales reps recognise and act on moments of opportunity with the best prospects. Gain visibility into calls and appropriately attribute outcomes. An omnichannel approach to digital campaigns unlocks a gold mine of actionable insights that already exist within your business. Use interaction data, such as speech and text analytics, to accurately re-target customers who don’t convert or express another intent—and stop spending on those who do. Create lookalike audiences based on your most well-qualified prospects. Maximise marketing spend on campaigns with a controlled, automated customer experience that’s based on data—and drive desired outcomes. Use omnichannel digital engagement to create more valuable sales leads. With the right capabilities, you can design a campaign that drives high-value inbound calls into the contact centre. At the same time, you’ll be able to create outbound campaigns that deflect avoidable inbound calls by proactively providing information, managing consumer expectations and eliminating a prospect’s need to contact the organisation. These omnichannel capabilities give you more efficient ways to contact, acquire, engage, up-sell and win back customers. Run multichannel campaigns on any digital channel and increase your reach and effectiveness. Tap into a wealth of customer interaction data and combine it with information from your sales systems to create marketing campaigns that increase conversions. Focus on interactions to positively affect sales outcomes. And using real-time insights from online and offline engagement data—including recordings—helps reps sell more effectively to the appropriate accounts. With full context of prospective interactions across channels, sales reps can recognise and act on opportunities to improve conversion rates and meet goals. Reps who don’t recognise an opportunity and act on it miss conversations and prospects that could result in qualified leads or sales. That has a big impact on conversion rates. To solve this, combine online and offline engagement data and make it available in real time. Then match the right lead to the right rep for informed conversations on any channel. Giving reps relevant information and guidance empowers them to better manage every interaction. And better-equipped sales teams can target and act on opportunities, creating more leads, more sales conversions and correctly attributed results. Reap campaign rewards from omnichannel digital engagement and bring in more valuable leads for sales reps. With omnichannel capabilities, you can design a campaign to drive high-value inbound calls to the contact centre. At the same time, you’ll create outbound campaigns that provide information for telesales teams. More efficiently contact, acquire, engage, up-sell and win customers with campaigns on any digital channel. Anticipating the needs of your prospects and engaging them during the customer journey opens opportunities to increase revenue, reduce costs and improve satisfaction. Offering a proactive engagement at the right time on your website or in a mobile app increases sales conversion rates and reduces abandonment risks. Traditional KPIs were once the top performance measurements. However, the rise of digital channels has created huge volumes of data and a more complicated matrix. Because leads come from multiple sources over time, that data is disorganised and disconnected from associated accounts. Machine learning predicts the right match between prospect and sales rep. Omnichannel capabilities use this learning and work in real time to automatically match the lead to the right rep—with relevant context and insight into customer behaviour. Sales reps have access to the right information at the right time, so they can take action. With accurate attribution of each action to an outcome, you’ll have a better conversion strategy. Use customer data to its full potential. Combining customer interaction data with sales systems data will transform it into useful information for your reps. This enables them to focus on interactions that are proven to affect sales outcomes. With real-time insights into on- and offline engagement data, including recordings, reps will sell more effectively into accounts that are ready to listen. Give them full context of prospect interactions across channels, empowering them to recognise opportunities and act on them. The result will be better conversion rates and sales reps who meet—or exceed—their goals. 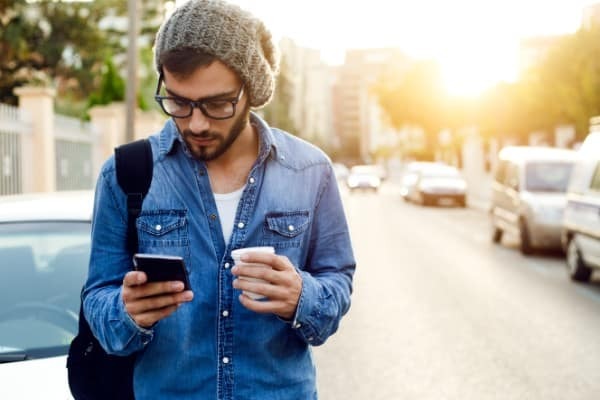 Today, all companies—regardless of size—must be able to offer omnichannel customer engagement to connect with customers and prospects on the digital channel of their choice. Small businesses once thrived by finding their niche and making the most of it. But word-of-mouth advertising and a local phone number are no longer enough in this increasingly digital age. The proliferation of mobile devices, social media, chat and email, and their widespread availability, means your customers want to interact with your brand across many channels and devices. Omnichannel capabilities make it easier to engage with customers by integrating all digital channels and voice into a single view. Providing personalised customer service and taking advantage of agility are two key differentiators that are often overlooked. But using modern tools that give you visibility into the customer journey levels the playing field and helps you achieve all the same benefits while improving customer satisfaction. Using business rules, you can make real-time customer engagement decisions based on context and send leads to the best available rep. Unifying your digital channels for a single view of the customer is a major differentiator for your business. Customers interact with your company multiple times and in multiple ways—phone, chat, email, mobile app and social channels. If your sales and service reps don’t have the context from previous interactions, or if they need to switch among multiple systems to get that context, customers can receive a disappointing experience. It’s frustrating for the prospect and your rep. Step your game up with a single, omnichannel desktop that lets reps and supervisors handle all interactions—whether they’re digital or voice. A single view of prospects and customers puts necessary context, history and knowledge of customers at your reps’ fingertips for all channels. Tap into the gold mine of customer interaction data. Combine it with data from your sales systems to transform it into useful information that increases sales conversions. Reps can focus on aspects of interactions that are proven to impact sales outcomes. With real-time insights into online and offline engagement data—including recordings—your reps will sell more effectively to customers who are ready to listen. With full context of interactions across channels, sales reps can recognise and act on moments of opportunity to improve conversion rates and deliver on business outcomes. 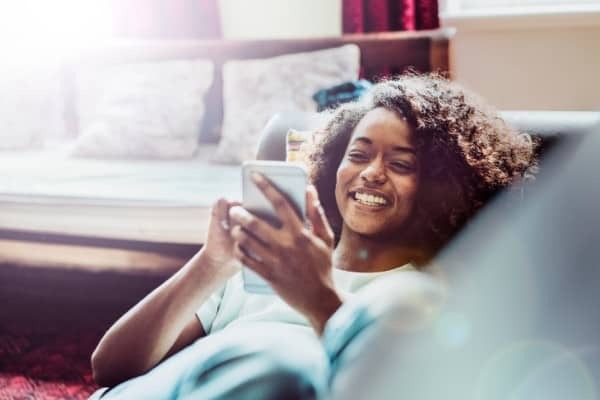 Transform your customer journeys with Genesys Digital, a suite of digital channels and capabilities built on a common infrastructure within a single customer experience platform. By eliminating silos and reducing costs, the suite simplifies the management of your environment. And through integrated agent application, workforce management and analytics, your customers get a consistent, seamless experience. Most customers begin their journeys on a website, jump to a mobile app and only shift to a voice channel when they need further assistance. While they want to use multiple channels, they also expect to navigate easily across them. Roadblocks to seamless, consistent and personalised journeys lead to high abandon rates and lost revenue. Customer experience is the most powerful differentiator in business. An omnichannel approach lets you design customer journeys so they’re actionable. 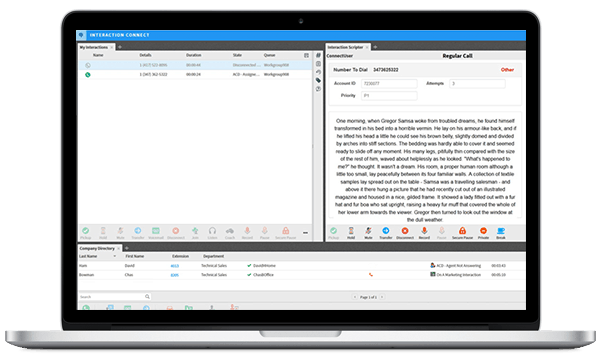 Monitor journeys with business decisions and use orchestrated routing across web chat, email, SMS, social and messaging apps. Omnichannel capabilities unify inbound and outbound digital communications to deliver consistent, contextual insights. The result is an effortless experience across all channels, touchpoints and interactions. For a better digital customer experience, artificial intelligence (AI) automates tasks from setting appointments and troubleshooting problems, to powering robust self-service capabilities. But humans are still critical to digital success. Genesys Blended AI is a hybrid approach that’s powered by Kate, our Customer Experience AI. Kate combines AI, bots, machine learning and microapps with the power of humans, for personalised, proactive and predictive experiences. Letting Kate collect information, process voice and digital data and analyse it at machine speed, gives agents more time for personalised service. As a hybrid execution of both AI and human interaction, Blended AI delivers seamless customer and employee experiences—a powerful differentiator for your smart business. Genesys Digital, with workforce optimisation capabilities, automates forecasting and scheduling across channels to improve staff productivity. Drive efficiencies with omnichannel and you’ll improve employee morale.